Hope you are enjoying your stay here on TECHPHYLUM.COM! How to convert DEB to RPM? How to install .deb files? So today we are back with something interesting! So now we are in Linux! 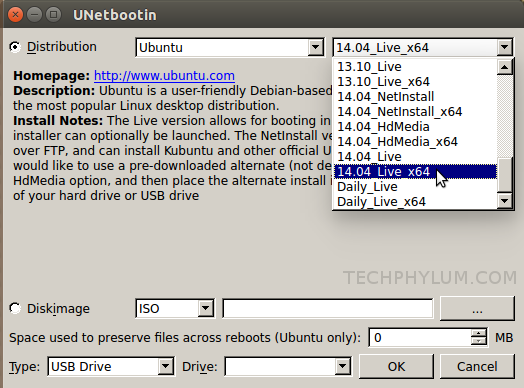 So the software we are using is "UNetbootin",this is a very easy to use with a simplified UI. 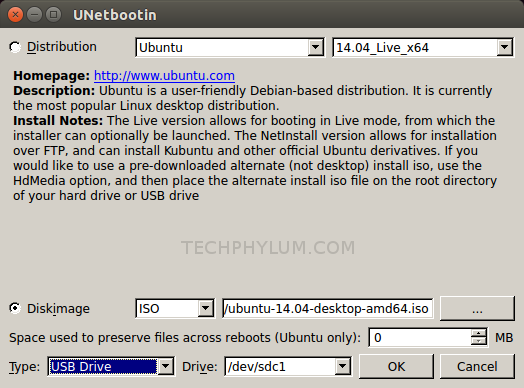 The benifit is that you can directly download from many linux distro directly from this softwre and even number of versions are listed like in Ubuntu,!4.04,13.10,12.04 etc are already listed you just need to select them and done,not only that if you have .iso file of any linux distro then you have option to use it too! WARNING: MAKE SURE YOU HAVE MADE A BACK UP OF THE DATA ON USB DRIVE AS IT WILL GET FORMATTED IN THE PROCESS! 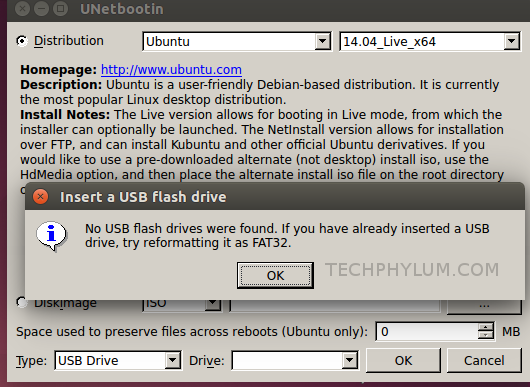 Remember our three ways to install software in ubuntu? Yup that goes here too! 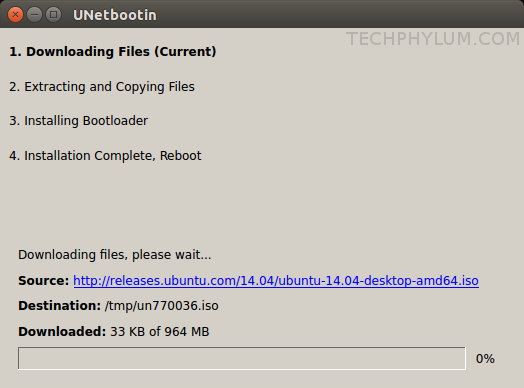 Using Ubuntu Software Center: Just fire up Software center and search Unetbootin and install it! 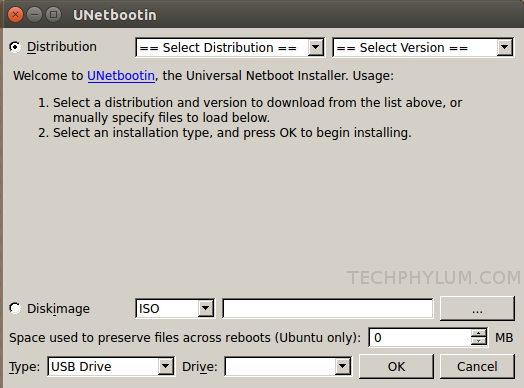 Using SYnaptic Package Manager:So another way is to install it from Synaptic Package Manager,just search for UNetbootin and mark it up for Installation and click on apply and let it get installed. 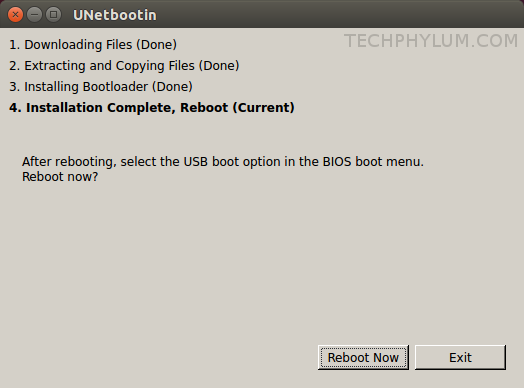 Now after installing Unetbootin just launch it. FAT32 as shown in above * marked steps and then follow steps as directed below. .Just select 'Diskimage' and click on '...' button to browse as in the screenshot. I will recommend you to put your image file on desktop and then brows for the file. the tip above and click ok.